Kosher Organics offers worldwide kosher certification services, exclusively for 100% Natural and Organic Products . Through its Rabbinical Council, it assures the highest orthodox kosher certification standards with the highest level of integrity. The Kosher Organics Council has a network of Rabbinic Representatives that work closely with Rabbinic Coordinators, to provide companies requesting Kosher Organics certification, the information and assistance necessary to expedite the certification process. Once certified, the Rabbinic Representatives work with the Rabbinic Coordinators to strengthen the certified company’s position in the organic and all-natural products marketplace. The Rabbinic Coordinators supervise the overall work of the Rabbinic Field Inspectors, and handle all ingredient, label and product approvals. Rabbinic Coordinators are especially involved in easing the process through which new companies achieve Kosher Organics certification, and work with the certified companies to maximize the benefits of their Kosher Organics certification. Each manufacturing facility operating under the Kosher Organics Council’s supervision, is visited regularly and monitored by a Rabbinical Field Inspector. The Field Inspectors, who make the actual plant visits, report to a Rabbinic Coordinator to ensure that the Kosher Organics certification program is running efficiently and continues to meet the highest orthodox kosher standards. 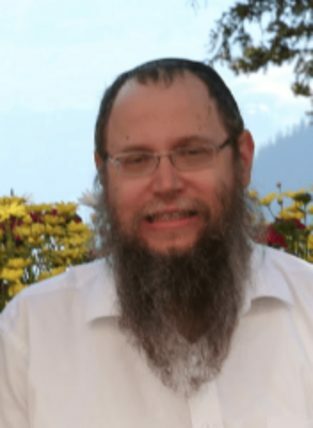 Rabbi Ben-Zion Chanowitz, is an experienced Rabbinic Coordinator and Field Inspector, that ensures that all the facilities being certified by the Kosher Organics Council meet and maintain the highest kosher standards. Rabbi Ben-Zion Chanowitz received his smicha (Yoreh Yoreh Yadin Yadin), at the Central Lubavitcher Yeshiva from Rabbi Piekarski, OB”M, and Rabbi Zalman Nechemia Goldberg and the Rabbanut in Yerushalayim. He received Shimush under the Bais Din of Montreal and the Bais Din Hagadol in Yerushalayim. Rabbi Chanowitz serves as a supervisor and inspector for many reliable kashrut certification agencies in America. He also gives some of the local Hashgochois in the Catskills, where he serves as Rabbi at the Landfield Avenue Synagogue in Monticello, New York. Rabbi Pesach Scheiner was born in Brooklyn, New York, and received his rabbinical ordination from the Chabad-Lubavitch Yeshiva in Brooklyn. 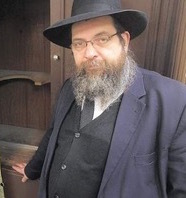 He is currently the Rabbi of the Chabad Center in Boulder, Colorado. In his rabbinic capacity, Rabbi Scheiner teaches classes and writes books on Jewish practice, including the Jewish view on living successfully.